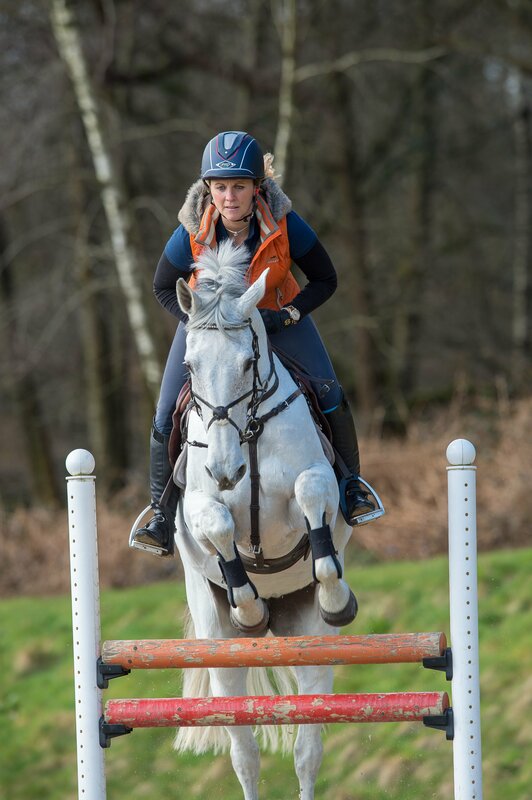 Introducing skinny fences into your training routines at home offers a range of benefits, explains Olympic eventer Gemma Tattersall. Courtesy of Gemma's sponsor, Childéric Saddles, Gemma explains how to ride skinny fences and why they are a useful training exercise, even if you don't plan to ride cross country. 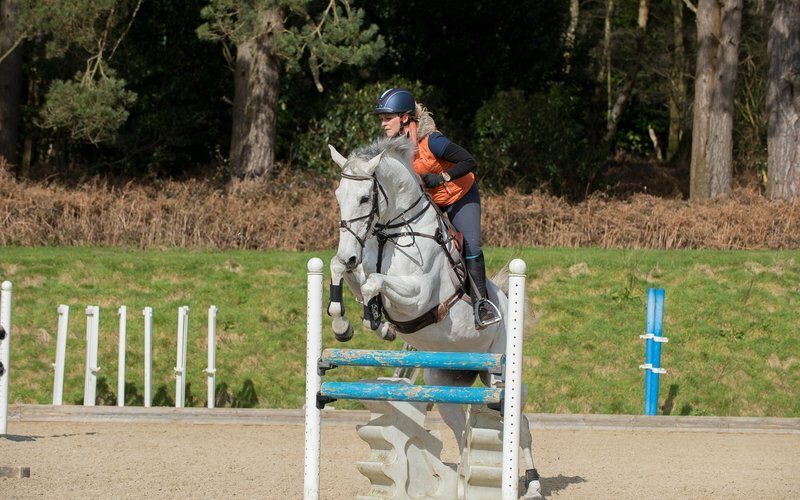 "Riding to a narrow fence doesn’t have to be a big deal," explains Gemma. "Your goal is to ride accurately over fences, whether on the cross- country course or when show jumping, and skinny fences are a great test of control and will encourage you both to jump centrally into any fence. "If I'm having a jumping day at home and we are practising skinnies and/or angles, I will do it with all of the horses, even the four year olds. We just change the difficulty depending on the level of the horse," says Gemma. Set up a few narrow fences around the arena, ideally so you can jump them individually, but in a pattern which you can work up to jumping on a related distance. 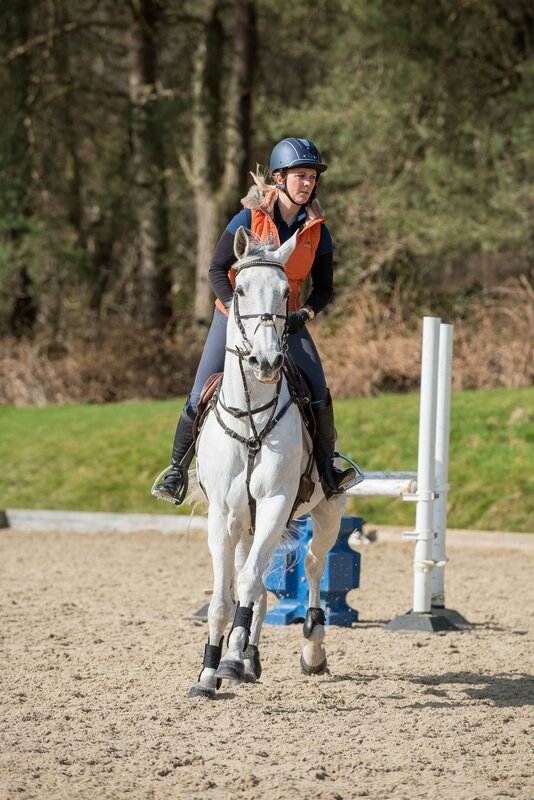 If you and/or your horse are quite inexperienced, Gemma recommends that you use jump wings with a narrow pole (see below image) as this helps guide the horse and shows them exactly where they should be jumping. Introduce this exercise with a pole on the ground between the wings to start with. Gemma recommends that you walk, trot and canter over it to build confidence so that your horse feels entirely comfortable. "Gradually put the fence up. 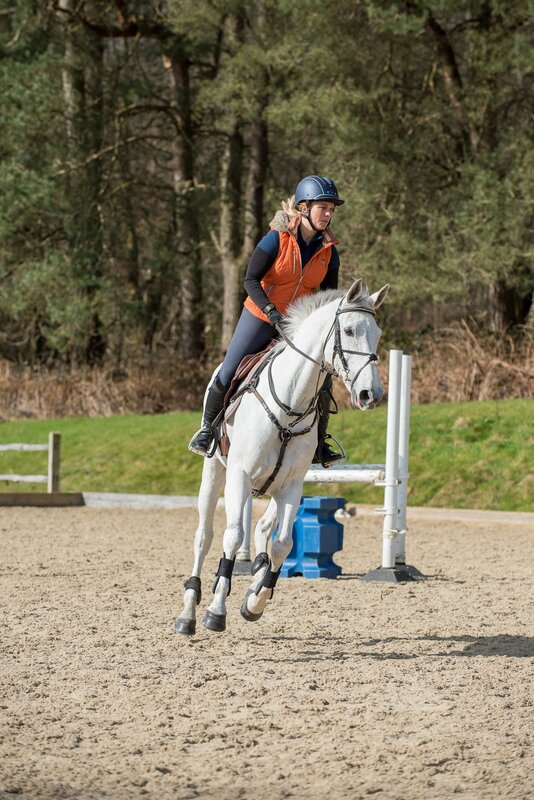 If you find it easier to hold your line in trot, then continue in trot for the first few jumps," adds Gemma. "Make sure you approach from both directions and, if you can, from both reins." Once you are confident, Gemma recommends that you start to add in the related fence. "Again, start small and think about being accurate. Ride a good line and aim for the centre of the fence. "Make sure that when you land after your first fence, you look for your second and turn your body to encourage the horse to make the turn." The below images show this sequence. "Try it in both directions – one way will naturally be more difficult for you and/or your horse, but don’t avoid doing it this way as it will become easier with practise." 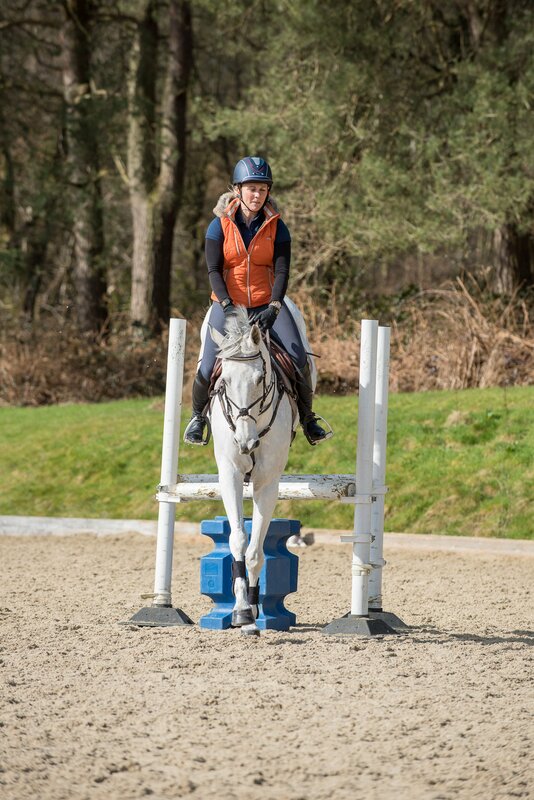 As you become more confident, Gemma suggests that only then you start to increase the size of the fences or ride in a figure of eight to continually join the fences. "The more you do it with skinny fences, the more it becomes normal, and the horse understands what you are asking. This will also have a positive impact on your jumping in general, helping you to become more disciplined in directing your horse more accurately into fences. "As with any new schooling exercise, less is more. Keep sessions short and sweet, and reward and praise your horse's efforts, however small to start with." 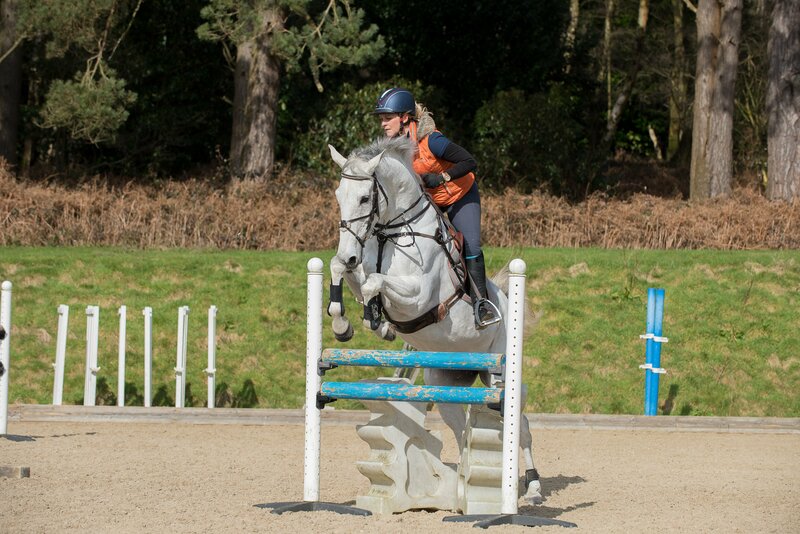 Read Gemma Tattersall's tips on how to 'canter clever' here!